“I tell you in very truth, Man is the Son of the Earthly Mother, and from her did the Son of Man receive his whole body, even as the body of the newborn babe is born of the womb of his mother. I tell you truly, you are one with the Earthly Mother; she is in you, and you in her. Of her were you born, in her do you live, and to her shall you return again. Keep, therefore, her laws, for none can live long, neither be happy, but he who honors his Earthly Mother and does her laws. For your breath is her breath; your blood her blood; your bone her bone; your flesh her flesh; your bowels her bowels; your eyes and your ears are her eyes and her ears.” ~ the spoken word of Jesus Christ from the ‘The Essene Gospel of Peace’. The original planners of the Earth were members of the Family Of Light whom worked for and with an aspect of consciousness called “Light” also indicated in the book of Genesis chapter 1 verses 3&4 when ^God said, “Let there be light”: and there was light and God saw that the light was good. Now most interpret this light as the separation between day and night, but the aspect runs particularly deeper than that. The day and night would only serve as a symbol to the true light of conscious awareness and the darkness symbolizing the true state of ignorance, fear, despair and lack, true significance of Polarity. The Earth was a planet of great beauty, a planet of peace and one of the twelve planets of the “Christed Light.” In the ensuing times many forms of life from both the physical and non-physical came to visit this wondrous sphere of diversity and beauty. There was a moment in time when the fall of consciousness occurred and Earth was one of many planets that fell into darkness.None of the other Christed Light planets fell. The 3rd dimension was created as a stop gap and Earth lost her Christed Light. For many thousands of years the inhabitants of the earth struggled under the yoke of fear, duality, separation and violence. Earth ultimately fell under the illusion of Polarity and therefore was not a pleasant place for many energies throughout the Universe to visit. Several experiments were attempted to lift earth from her darkness. All Failed. Now about 2000 years ago, Immanuel Yeshua (Jesus) The Christ brought seeds of the Christed Light back to the planet. He successfully planted the seeds of the Christed Light into the hearts of everyone he encountered. 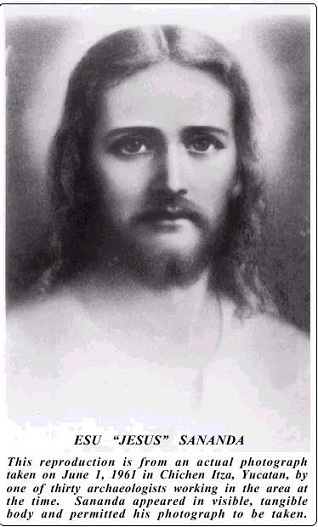 Despite contortions of Jesus’s life and misunderstandings of his teachings of the true nature of the Christed Light, over the last 2000 years those seeds have grown and began to sprout through the hearts of the Light Workers, Starseeds, Indigo, Crystalline, and modern day Avatars. In recent years it has been deemed possible to fully “Restore” the Christed Light to Earth. Extensive research indicates on 11-11-11 the Christed Light was restored to the Earth through the joint efforts of Yeshua (Jesus) and other great non-physical beings and human light workers. This is deeply indicated to indeed be the second coming that is foretold. Despite this monumental event, most individuals on this planet continue to play in 3rd dimension darkness, the darkness that resulted from an absence of the Christed Light. Thank You Very Much for this most Valuable Info! Dear Darryl, Thank you for sharing all this wonderful and true information about the complete life and work of Jesus. I always felt that the Catholics and Christians had an incomplete understanding of Jesus. I feel a connection with The Essenes and their purity and it only makes sense that Jesus was an Essene too. So wonderful to know that Jesus came to India and taught here too. It makes me so happy that our land was blessed by him! God Bless you for all the revelations you’ve brought into my life. Love, Annu. You’re most welcome Annu! Jesus was one of the most hard working Avtaars and he did so much in his lifetime out of love for Humanity. That is why he is called the Prem Avtaar, who taught us Unity Consciousness and Christed Consciousness. Jesus Christ was a Superstar! Light, Love and Peace be with you dear one. Blessed are the words on this page and the teachings on your website. May your light shines through in service to all. God Bless. Thank you Zita. Light, Love, Peace and Joy be with you.